In the 1980s California began the process of de-institutionalizing people with developmental disabilities, explicitly requiring “community-based” housing solutions. As a result, every housing element must contain a plan for addressing housing needs for the developmentally disabled within the jurisdiction. Public policy is one thing. Reality is another: there is currently no capacity for housing for the growing numbers of developmentally disabled San Franciscans. For example, like other California counties, San Francisco has experienced a staggering increase in autism (strictly defined and Regional Center (RC)-eligible). In 1990, the SF had 67 residents with RC autism, today it has 653, a nearly ten-fold increase. Most of these individuals will need community-based living arrangements in or near the City where their families reside, almost all of them will need lifelong support, and almost none of them will have income with which to pay beyond token rent. Parents can provide housing only up to a point—developmentally disabled adults often require more intensive support than aging parents can provide. ...There are only two group homes with 10 beds for all autistic adults in all of SF? ... Almost 80% of developmentally disabled San Franciscans still live with aging parents? ... There are currently no plans to expand availability of developmental disability housing in the City? Despite the post-institutionalization policy and requirement to plan for developmental disability housing within community boundaries, in the current reality, no viable options exist to serve our most dependent and vulnerable citizens, people who are often nonverbal and with severely impaired cognitive and functional capacities. Under the Lanterman Act, and federal Medicaid policy, it is neither acceptable nor possible to place these citizens outside of our community, where they grew up, where they have family, where they call home. For the growing numbers of San Franciscans with autism, appropriate properties can entail special amenities such as open spaces, special materials, and well-designed safety measures. In addition, complex conditions such as autism often require intensive behavioral support. 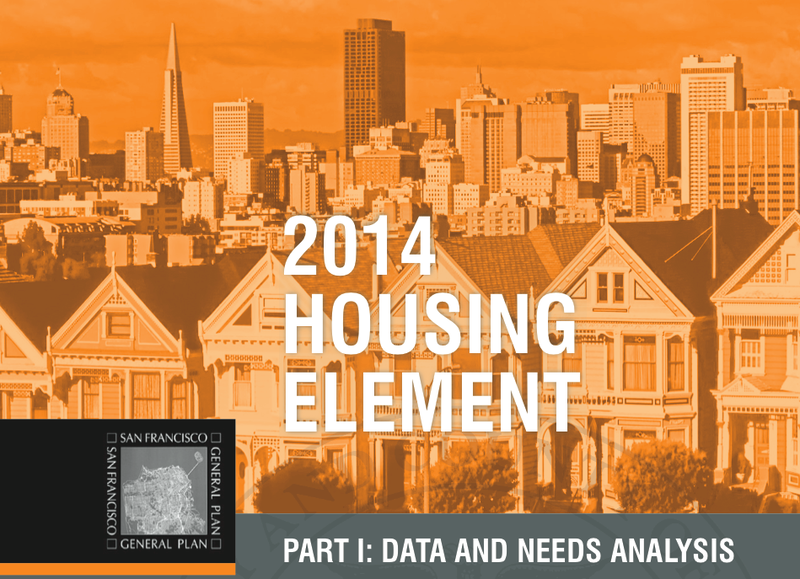 Therefore, standard low-income housing is often insufficient to serve the need. • Housing vouchers (such as Section 8), promoting a wide array in choice of appropriate housing type and location. • Set-asides for the developmentally disabled in new housing developments. • Use of municipal affordable housing funds. • Property tax waivers for all forms of autism/developmental disability housing. • Priority use of public lands and public housing. • Creation of new, licensed behavioral support homes in or near the City, particularly to serve the burgeoning autism population. • Relief from restrictive zoning codes. We look forward to working with the Mayor’s Office of Housing, developers, and fellow advocates to chart a course to expand housing options for the City’s most vulnerable residents. • Mental Illness: a conservative estimate of 10% as the portion of people with a develop- mental disability who are also living with a mental disability. • Mobility Impairment: Staff and service providers report that approximately 10 % of all people with a developmental disability also have a physical disability; their mobility impairment will call for housing that is ADA accessible, or certainly readily adaptable to their needs. • Visual/Hearing Impairment: It is estimated from prior experience that 2% to 3% of the developmental disabled population are living with a visual and/or hearing impairment, and require reasonable accommodation to their disability. • Medically Fragile: 2% of the developmental disabled population require 24/7 medical care, in housing specifically rehabilitated or constructed to include features like those in hospital settings, with space for care-givers and specialized equipment. Many individuals with developmental disabilities are independent and can live in their own apartments or homes with very little support. Other individuals will have more severe disabilities, and may require 24-hour care and assistance in residences that are modified specifically to accommodate their individual needs. The Developmental Disabilities Board Area 5 estimated that there are some 11,500 San Fran- ciscans have a developmental disability. Its report also noted that seven out of 10 people with developmental disabilities are unable to earn substantial gainful income and must rely on Supplemental Security Income (SSI) to support themselves. With SSI capped at under $720, people with developmental disabilities are finding it increasingly difficult to find affordable, accessible, and appropriate housing that is inclusive in the local community. In the past, many people with developmental disabilities were institutionalized in large hospital-like settings, often for life. Current practice, made possible by the Lanterman Act and the Olmstead Deci- sion, now calls for the “maximum possible integration into the general community.” This is realized through the creation of housing, with affordable rents and appropriate supportive services, dedicated to the long-term needs and empowerment of this population.